If you need a root canal and you want to see a dentist who you can count on for comfortable root canal dentistry, then you are in the right place. Dr. Kurtzman and his team, specialize in working with patients who are afraid of the dentist or may be uncomfortable with the thought of having dental work done. Why choose Dr. Kurtzman for Your Root Canal? You should choose Dr. Kurtzman for your root canal because he is an expert when it comes to helping patients experience little to no pain or discomfort during a root canal procedure. Call Dr. Kurtzman today for additional information about our dental services. 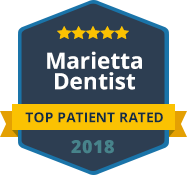 Please feel free to contact Dr. Kurtzman's dental office or call our office to schedule your appointment at: (770) 980-6336. When it comes to dentistry, our ultimate goal is to make sure all of our clients feel comfortable as possible.